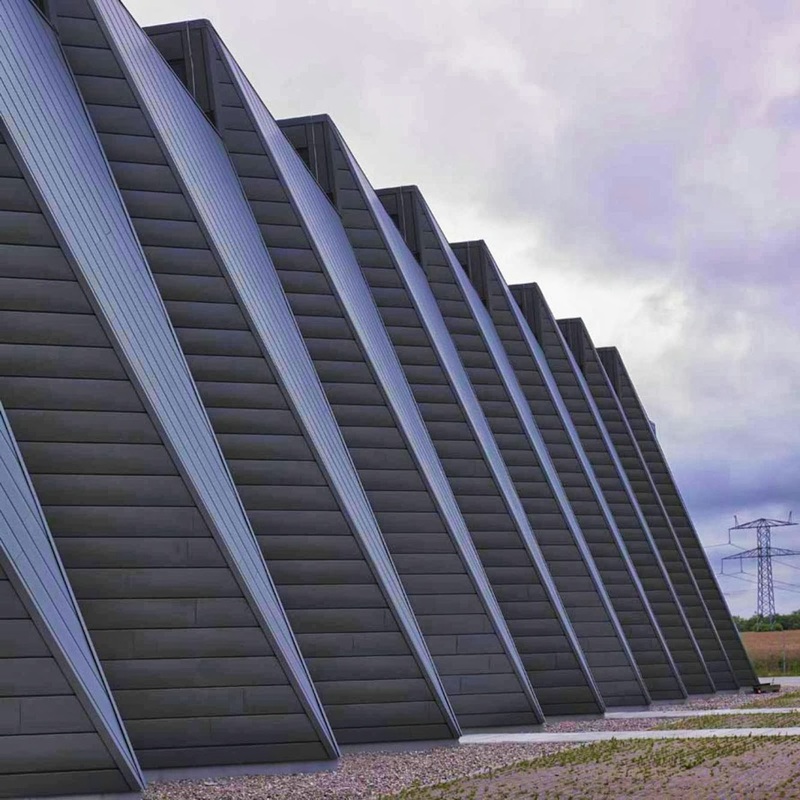 The Danish Parliament wishes to upgrade the visual appearance of the Danish power grid. 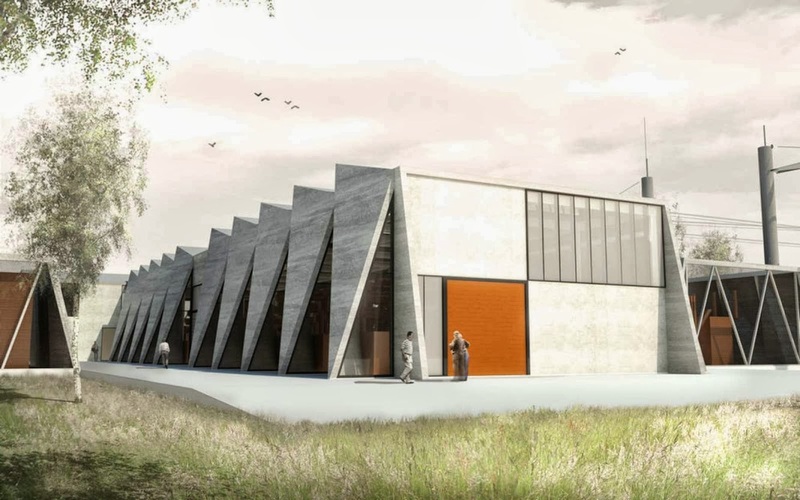 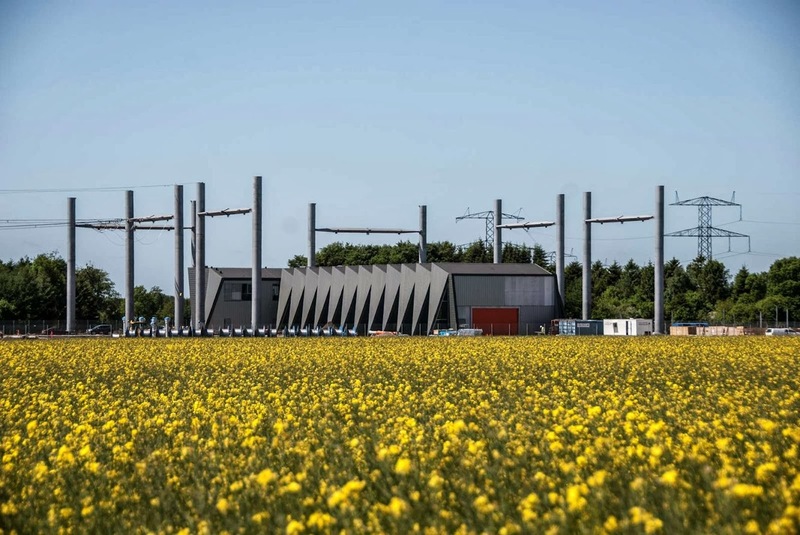 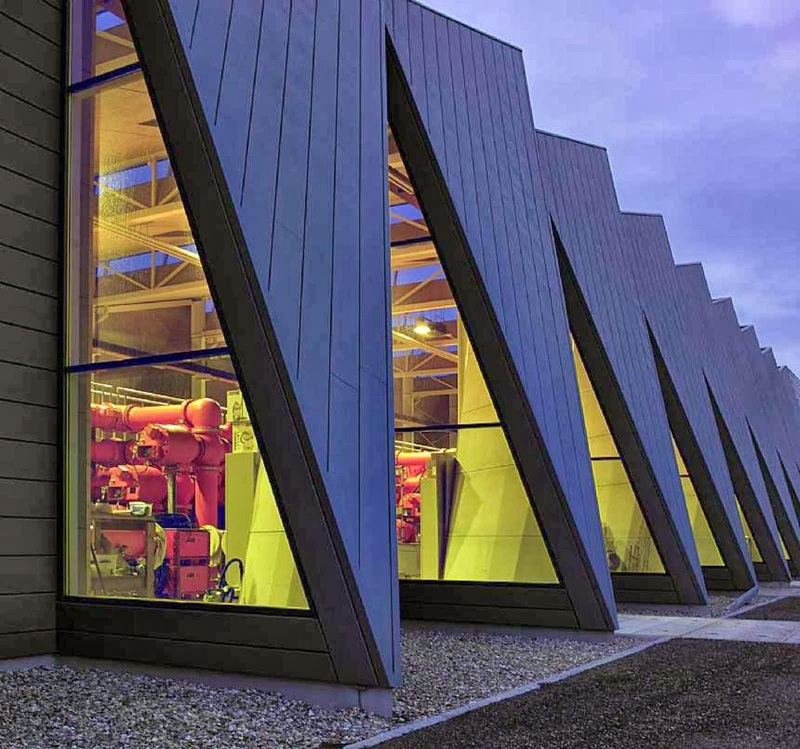 As a result, Energinet.dk has decided not to construct a new large open-air switchgear station in Vejen, Jutland, but instead build a gas-insulated switchgear station - also called a Gis station. 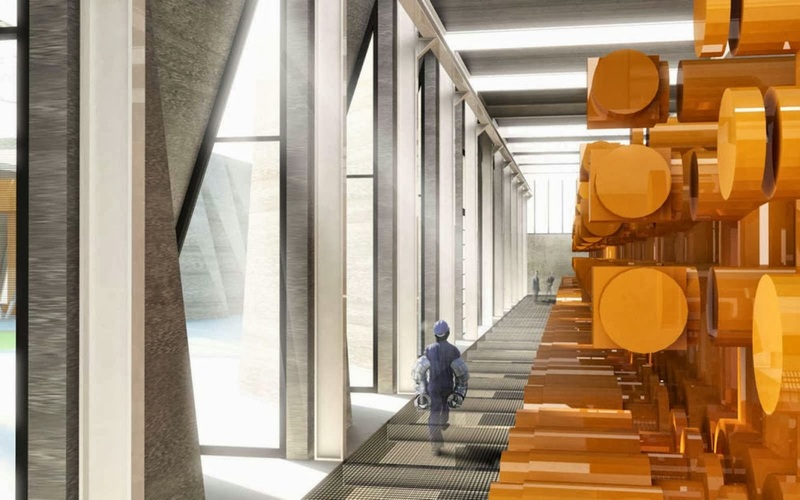 C. F. Møller has created a new design concept for switchgear stations for the Danish energy infrastructure operator Energinet.dk. 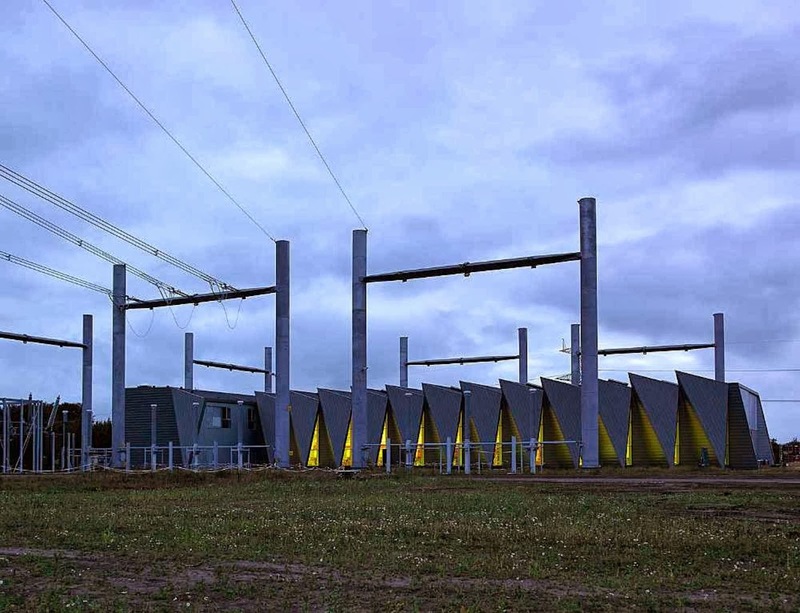 the first 400 kW station is now ready for operation. 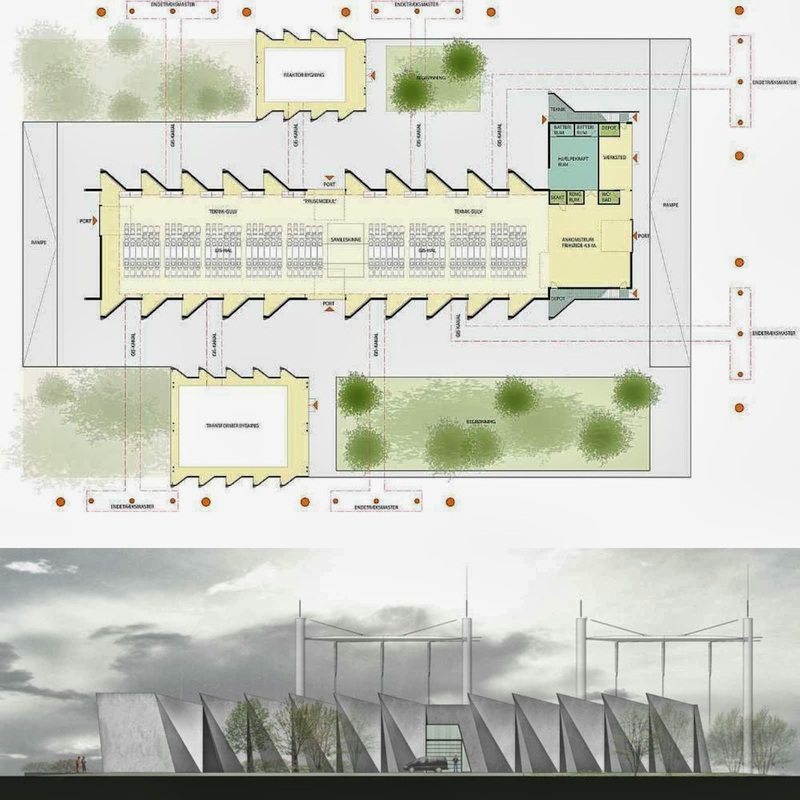 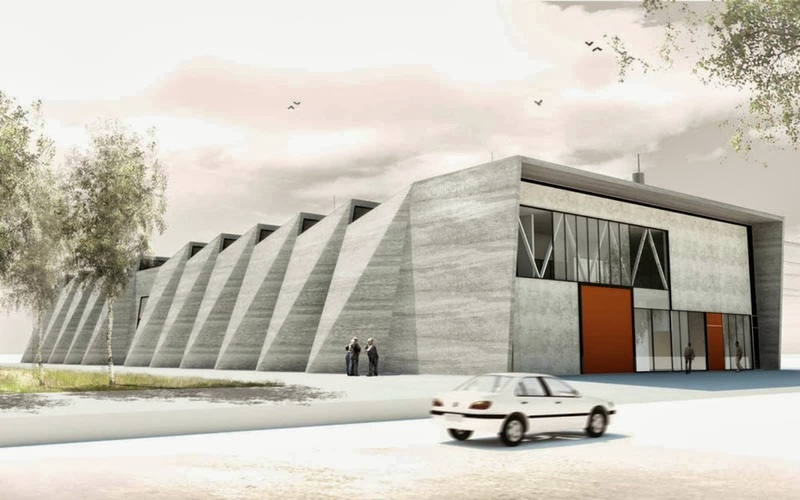 The idea has been to give the technical enclosure of the station, placed in the open landscape, a distinct architectonic profile, and at the same time maximize the future flexibility. 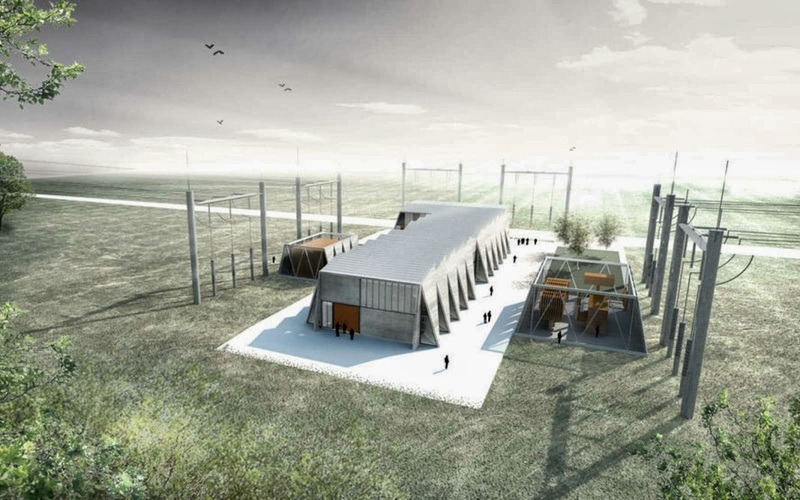 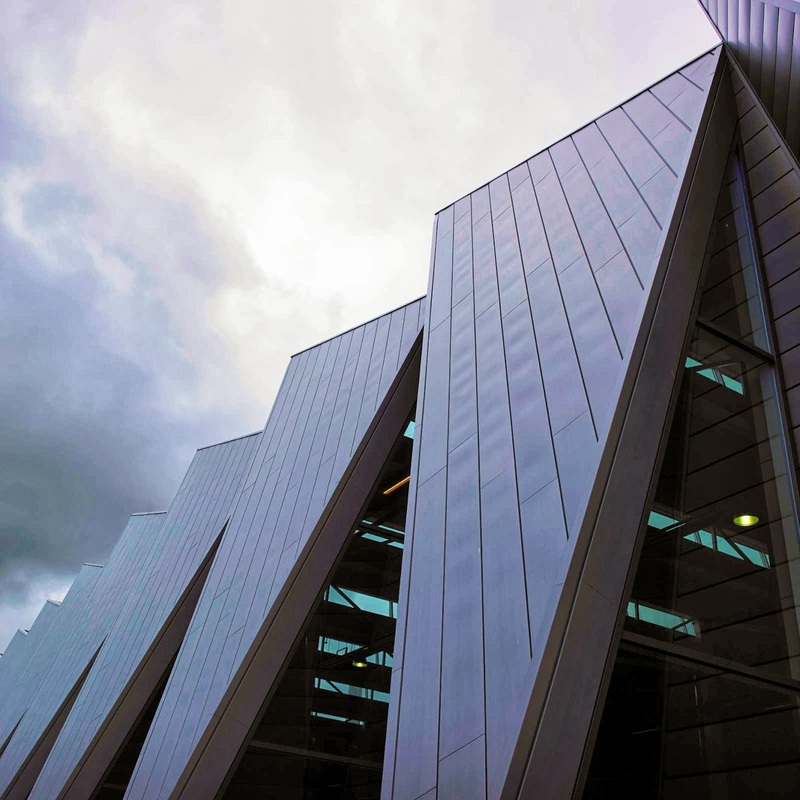 The new Station Revsing is one of the nerve centres in the Danish power grid, through which increasing volumes of sustainable energy - mostly wind power - will be transported. 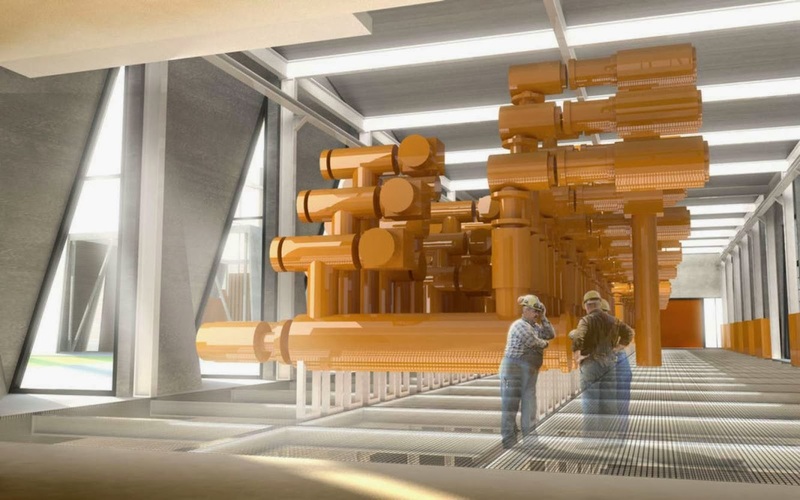 The Gas Insulated Switchgear (GIS) station is an important part of 175 kilometres of new 400 kW high voltage cable up through central Jutland. 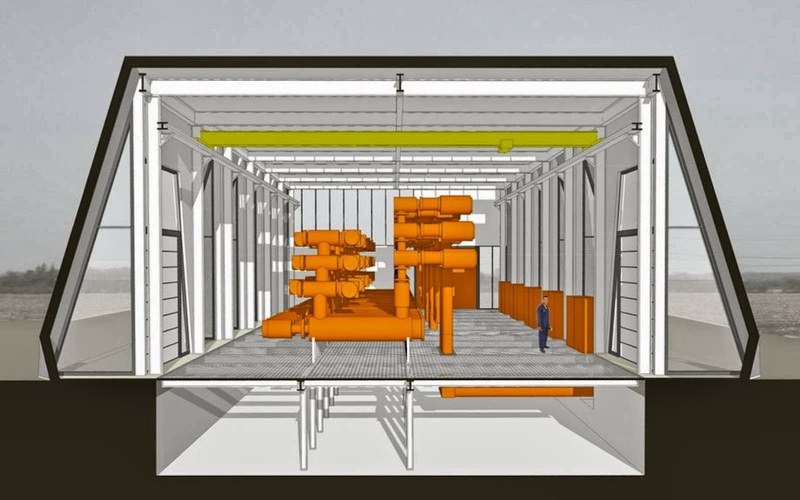 The link has been built to upgrade the power grid and to ensure that wind power from Danish wind farms is transported to the areas where it is needed. 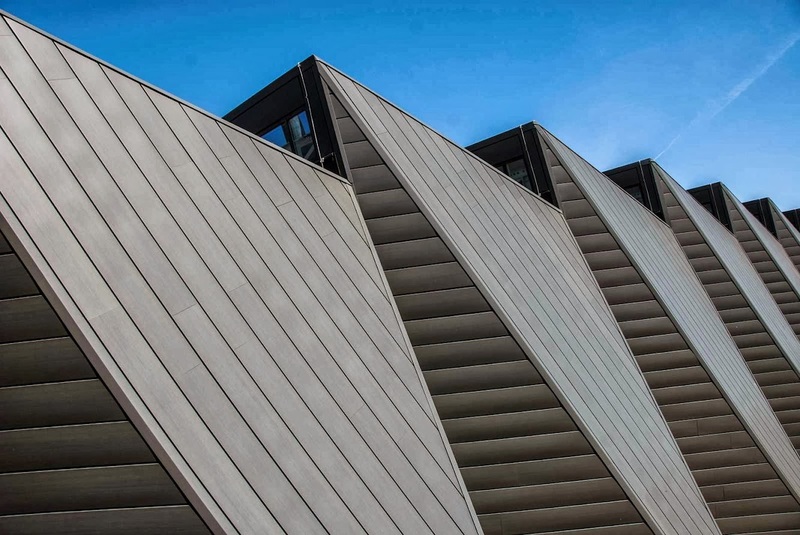 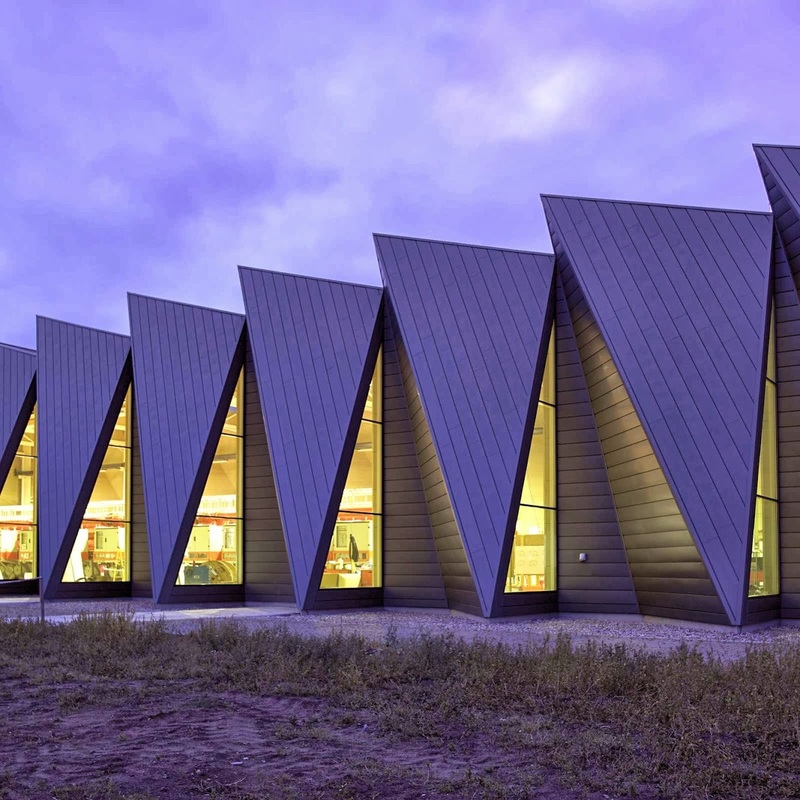 The station has been designed as a series of modules, each module consisting of a lightweight shell with a slanted roof and a folded exterior surface which adds lateral stability. 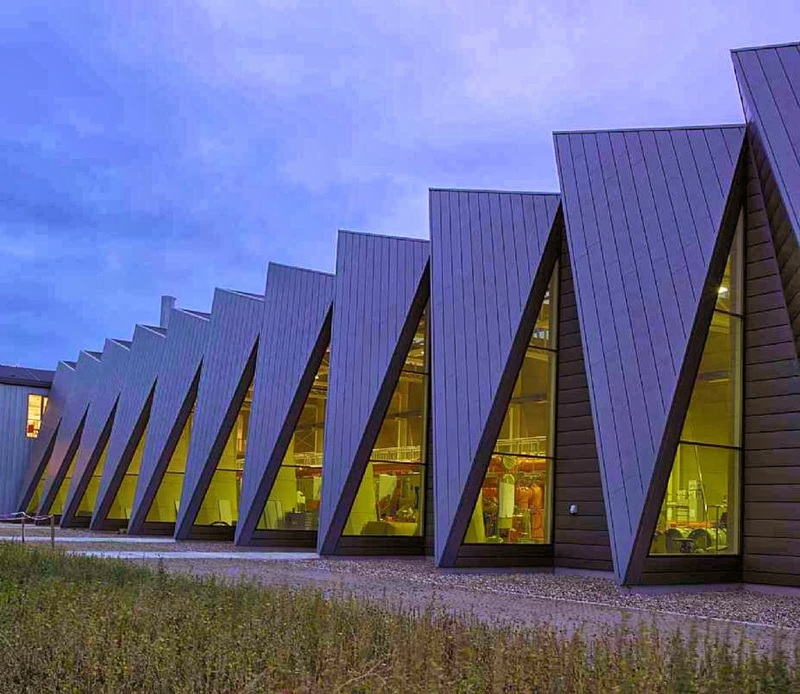 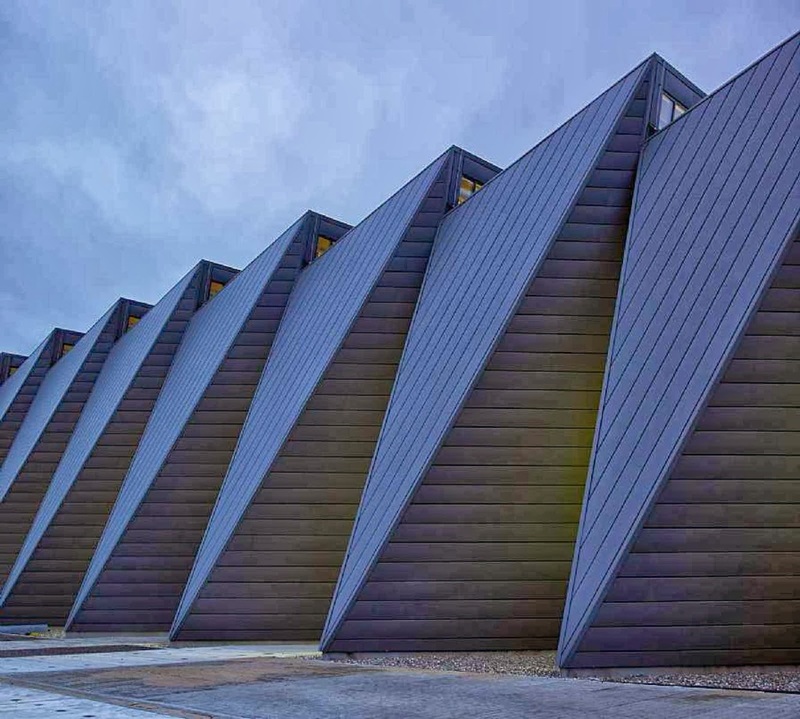 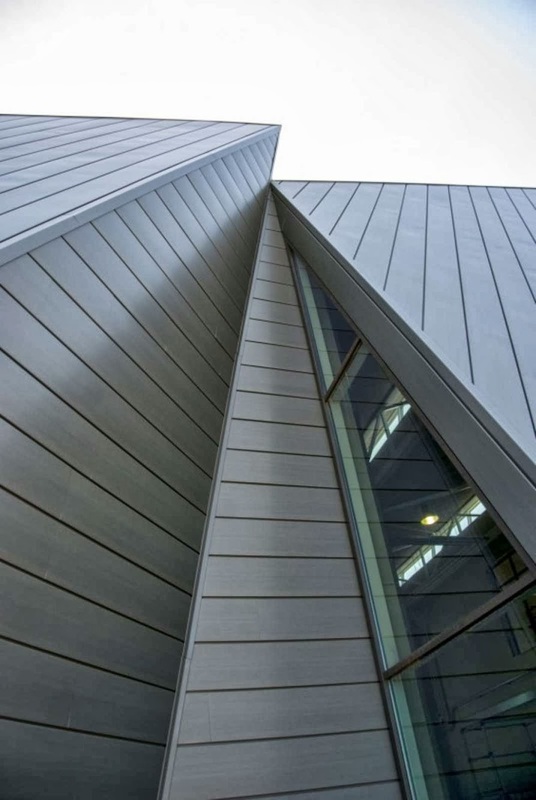 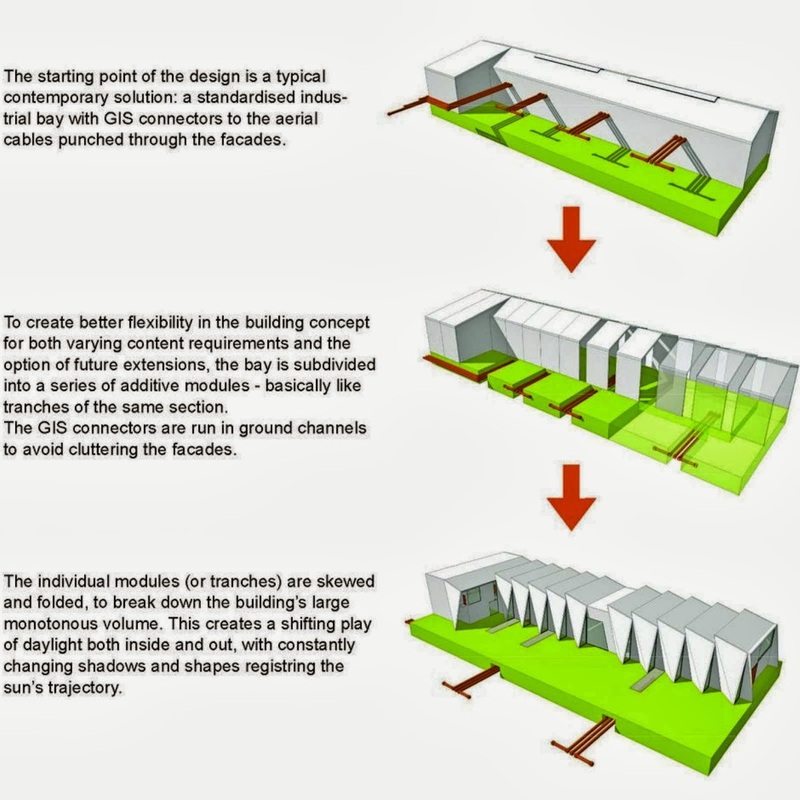 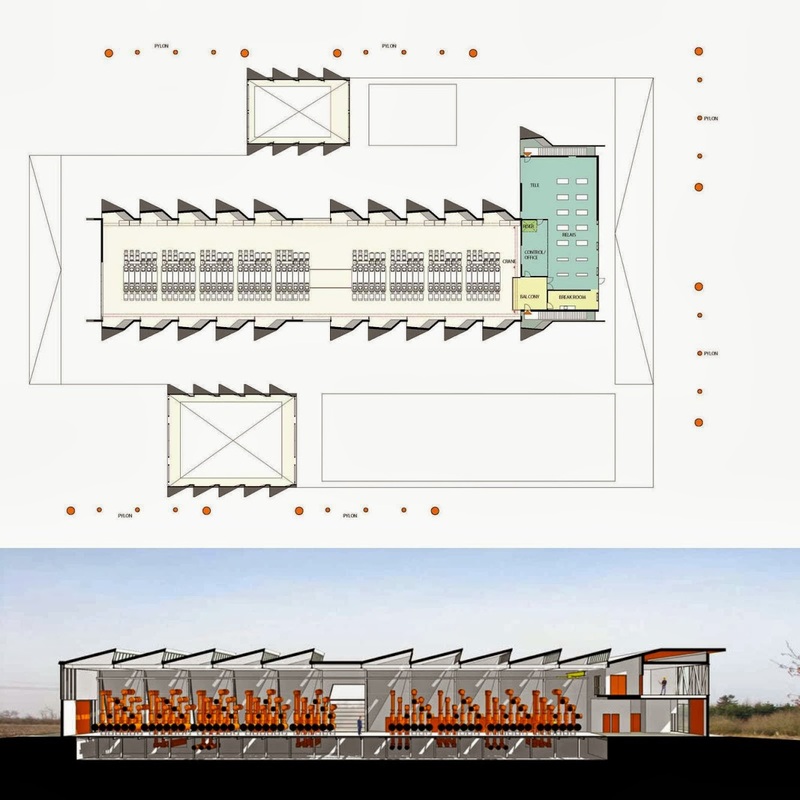 Arranged in series, the modules create a transparent gill-like envelope with triangular openings, letting ample daylight into the interior and allowing glimpses of the Gis units at the heart of the building.